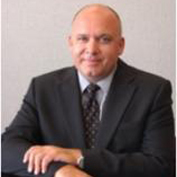 Dan Florizone, MBA, held the position of Deputy Minister of Health in Saskatchewan from 2008 to 2013, when he was appointed Deputy Minister of Education and Deputy Minister Responsible for the Lean Initiative. Mr. Florizone is dedicated to Student First and the pursuit of excellence in education and public service (through Lean). He has participated in many national and international initiatives, committees and projects, serving as Chairperson of the Saskatchewan Health Quality Council, and Board Member on the Canadian Patient Safety Institute and the Mental Health Commission of Canada. He is also a Policy Fellow with the Johnson-Shoyama Graduate School of Public Policy. Prior to joining the Ministry of Health, Mr. Florizone served as CEO of the Five Hills Health Region and the Moose Jaw-Thunder Creek Health District, as well as the South-East Health District. He holds a Master of Business Administration degree from the University of Regina and a Bachelor of Commerce degree (with Honours in Health Care Administration) from the University of Saskatchewan. He received the Institute of Public Administration of Canada-Saskatchewan Lieutenant Governor’s Gold Medal Award in 2008 and the Excellence through Evidence Award from the Canadian Foundation for Healthcare Improvement (CFHI) in 2011.